Will the white walkers win the war? As the war of the dead and the living comes to its culmination, fans don’t cease discussing the possible outcomes of the story, and some of them, in the best traditions of George RR Martin, come as quite grim. One of such theories concerning the ending of the series is that the White Walkers win and destroy the seven kingdoms forcing those who survive to flee to Essos. This can sound too sad for those who rooted for the loved characters all the way long, but this very theory finds its roots both in the narrative, developed in the series and the book, as well as in little confessions and seemingly hidden hints from the actors and the creators of the series in their interviews. Firstly, many fans on Reddit have long been referencing their ideas of the outcome to Daeneris’ visions of future, where she finds herself in the destroyed throne hall of the King’s landing. In that dreams or rather visions Daeneris stands in the hall that is rid of any presence of human life, cold and desolate, with the ceiling blown away by some unknown power and, most importantly, snowflakes hovering around in the air. This could easily indicate a sad future of the seven kingdoms and the human life on the continent of Westeros. 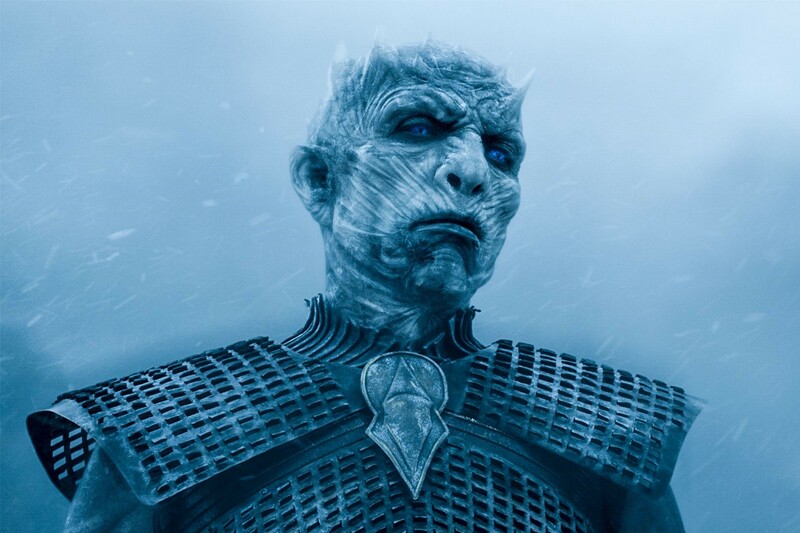 Furthermore, David Benioff and D.B Weiss, the series’ creators have time and time described the Night king as ‘‘a force of destruction, the personification of death, that comes after everyone in the story’’. So much so they didn’t even bother to write any speech lines for him, since ‘’he’s not even human anymore’’. Now what could be more mind-blowing than seeing the humanity of the Westeros wiped out by the dead or fleeing for life to Essos? Or could you imagine all the struggles, wars and deaths of the beloved characters turned out to have been all in vain? That would be a truly a shocking finale.